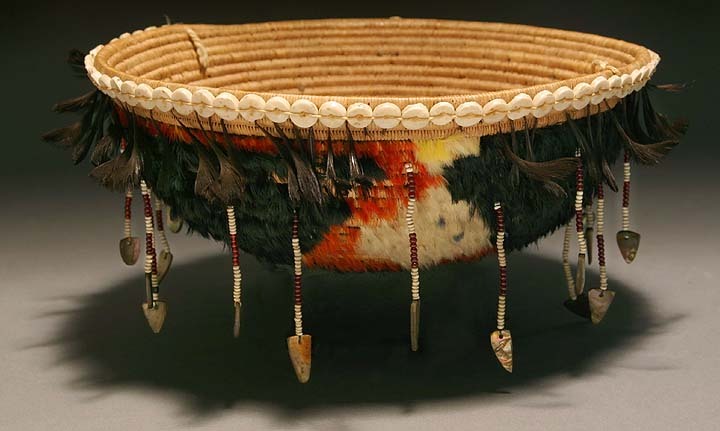 circa Late 19th C., early 20th C., with feathers, beads, and shell decorations. Extremely finely woven, an early example. A tag on the interior reads: “Desteney Basket Lake Co. Cal. $25.00”. Diameter: 8+ in. Provenance: Private Collection, Santa Fe, NM.